The Dance movement psychotherapy group aims to give women a safe and supportive space, in which they can come together and explore issues and share thoughts and feelings in both a verbal and non-verbal way. It is a creative therapy that uses movement to offer the opportunity to work through your emotional difficulties, develop your strengths, and express yourself. It is based on the principle that movement reflects an individual’s patterns of thinking and feeling. 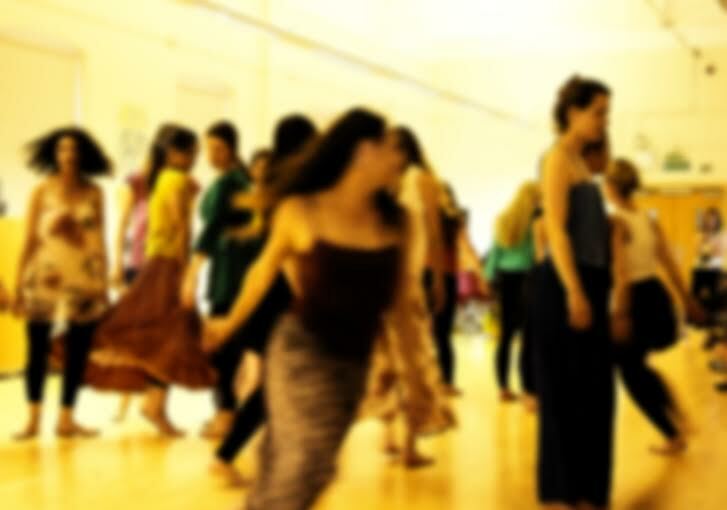 What do I have to do in a dance movement psychotherapy session? The session will often begin with a few minutes of checking-in to share how we are feeling, followed by a warm up to get the body moving. We will then move on to the more free part of the session where, in addition to using music we may use props to creatively process our feelings and thoughts. At the end there is time for talking about how the movement felt and how it helps us to understand ourselves. Moving throughout the session is an option rather a requirement. The therapy space will offer a safe space for self-exploration of actions, feelings and thoughts through sitting, breathing or moving. Don’t worry. You do not need to be especially fit and you do not require any previous dance experience or skills to attend. All you need is an interest in exploring how movement can transform and integrate body and mind. You will not be taught a particular type of dance technique or join in with any movements, which might not suit you.